Eco Lite Technologies is an ISO 9001:2008 Certified company. 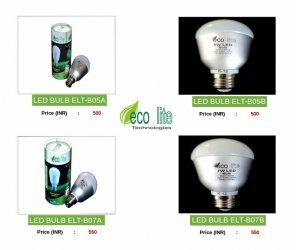 We are leading manufacturer and supplier of energy saving green led lighting products like LED Lights, LED Tube Lights, LED Street Lights, LED Bulbs, LED down lights, LED Bay Lights. By using our technical expertise and innovative designs, we constantly upgrade our product lines to offer advanced LED lighting to meet the diversified needs of our customers.